Over the past 40 years, Ideal Metal Roofing has established itself as one of the largest and most trusted metal roofing companies in New South Wales. The Sydney-based firm has built its reputation by completing projects on time and on budget without compromising quality or safety standards. Therefore, it’s only fitting that they purchased the first two high-reach Genie GTH™-4018 telehandlers in the country. “The extra metre offered by the Genie GTH-4018 telehandler is a huge benefit for Ideal Metal Roofing. Their two Genie GTH-4018 telehandlers, along with two Genie GTH-4017 telehandlers, have also removed the need for a large amount of crane hire. “The telehandlers are more mobile than cranes. The up and down speeds are faster and you only need two men. The loading and unloading times are also faster. “Ideal Roofing are also benefiting from features like the rotator, bucket and the jib. The user friendliness of the LMS System is another feature that Ideal Metal Roofing did mention is a winner for them,” said Trent. Trent speaks from experience about Genie as he did own Australian Access Hire, which boasts around 700 Genie machines, and he has been in the hire industry for 14 years. He launched EWP Plant Sales, Service and Spares in Narellan midway through 2016, and the company offers equipment repairs, 10-year major inspections, retail sales and parts. 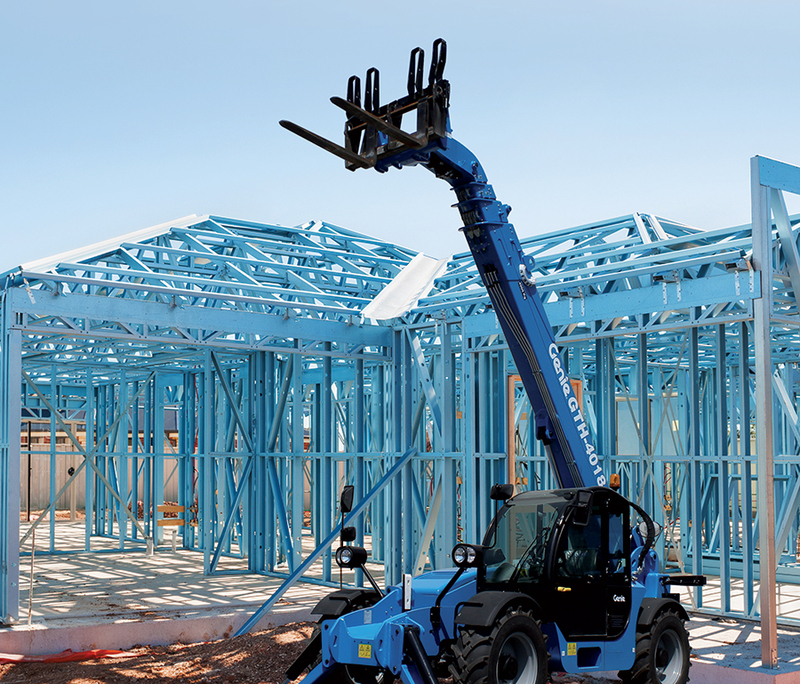 Trent said that the reliability of the telehandlers, coupled with Genie’s aftersales support, were big factors in his choosing the brand for his new business. “Parts are a big deal and Genie parts are not as expensive as the competitors. The feedback from our clients is excellent,” Trent added. The Genie GTH-4018 model is the next generation telehandler after the Genie GTH-4017 unit. “The Genie GTH-4018 telehandler offers the high quality and productivity that customers expect from Genie equipment to support their needs in the construction, waste handling, recycling, industrial and logistics sectors,” said Brent Markwell, Regional Sales Manager NSW/ACT, Terex Australia.